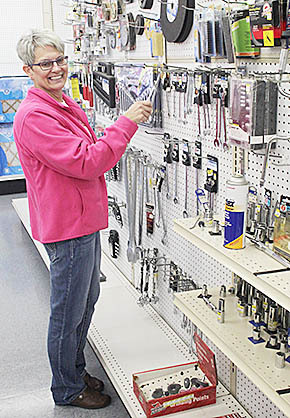 Renovations are nearing completion in the east portion of Main Street Hardware in Albion. Vickie Gragert (above) was moving hardware to some of the shelving in that area last week. 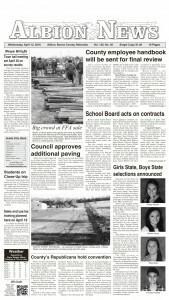 Once the hardware is moved, plans call for the Gray Haired Trout to be moved into the former hardware store.